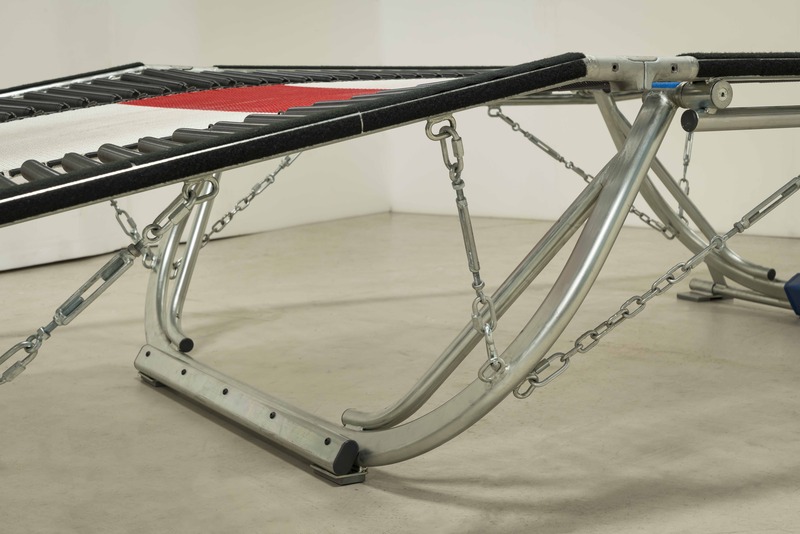 Double Mini-Tramps (DMT) | Rebound Products Inc. Rebound has its own folding DMT frame! This new frame is the same height, angle and spring count as other competition frames but features stronger legs. The middle leg keeps a low profile without losing strength using double tubing. Also all three legs include bracing which triangulates the area where breakage occurs on other models. It also has chains with turnbuckles to replace all shock cords to the legs to reduce frame movement. 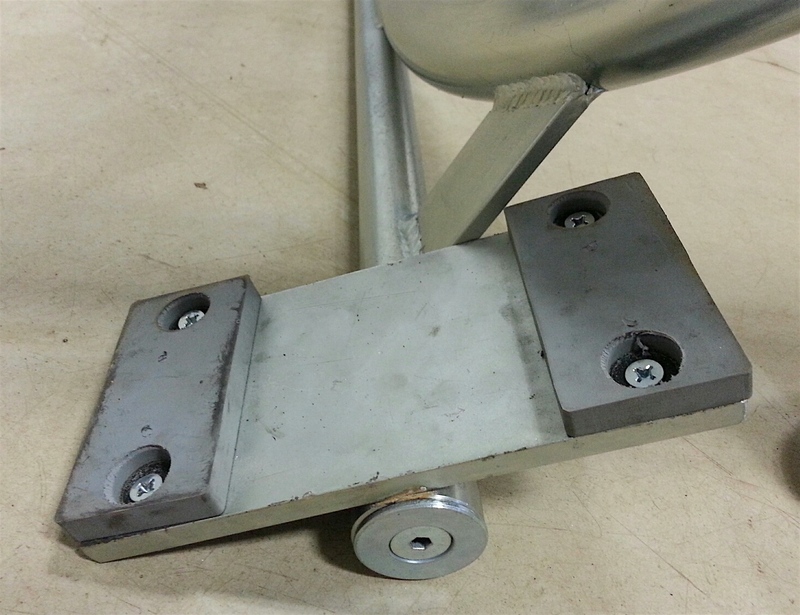 The spring spacing on the frame is adjusted so all springs can be at full length and not hit the leg tops. You get a more stable and durable frame at a lower price. The Rebound DMT includes full length tapered, thick frame pads and long life springs. 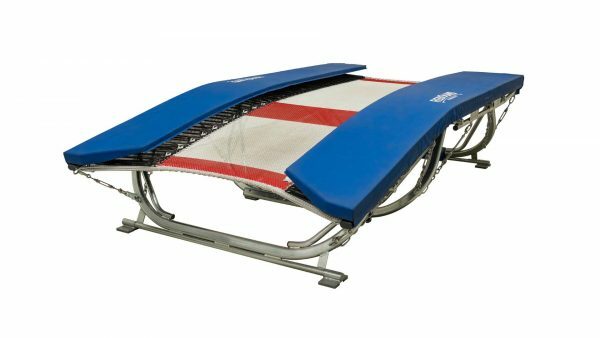 Can be purchased with our new Dave Ross 2 string bed or with a Eurotramp 6 mm webbed bed.